Our 8:00 am service is a quiet, meditative service using the traditional language of earlier editions of the Episcopal Prayer book. There is no music during the service, although at times we play recordings of music before the service begins. If you prefer solemnity and what some call the traditional language of the church, you may want to attend this service. This service has congregational hymns and choir music and uses the contemporary language of today. During the church school year, the children spend part of their time in Sunday School and then join the congregation for communion during the second half of the service. *Please be sure to check the calendar and/or Signpost for any change in service times. 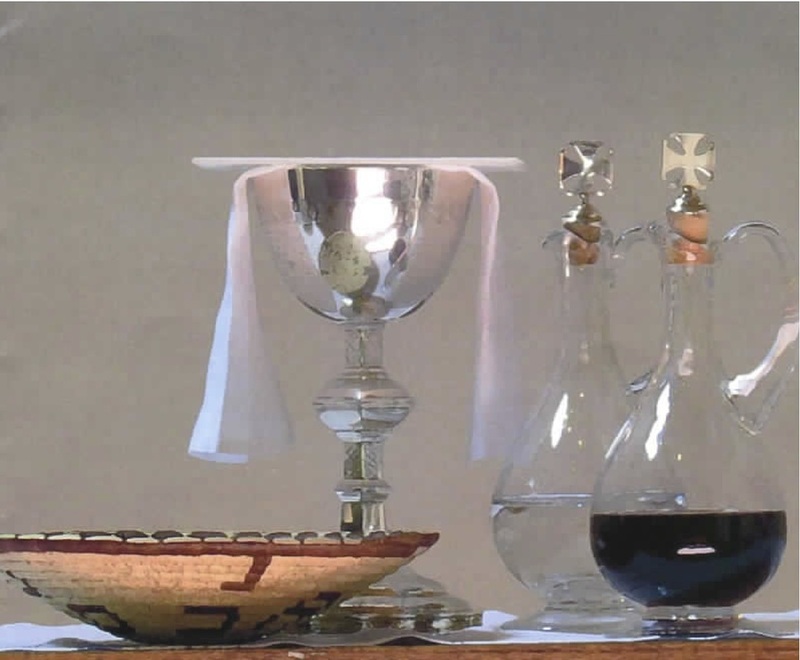 A rich tradition with deep Anglican roots all the way back to the 1500s, Morning Prayer is also an active part of many Episcopal churches prayer lives across the country today. In Morning Prayer, we come together to hear Scripture (and indeed hear many of the sections that don't make it into the Sunday lectionary). We also come together to offer prayers for the parish, the nation and the world. Morning Prayer can be a great spot to build community and discuss together both encouraging and difficult Scriptures. The prayer service has a liturgical structure and usually lasts 20-30 minutes. During July and August one service is celebrated at 9:00 am. Check the Signpost for exact dates for the start and end of the summer schedule. Second Saturday of the month at 2:00 pm. Rhythms of Grace is a non-profit non-denominational program that offers worship and Christian formation for children with special needs, their families, friends and caregivers from all faith traditions. Rhythms of Grace is sensory friendly: no bright lights, no loud music, and plenty of space to move. Bible stories are told with creative activities that develop sensory integration, fine motor and communication skills. Families arrive and join a simple activity that allows them to adjust to the space, meet the staff, and welcome other families. Next, they hear a Bible story and are invited to explore activities that are related to the theme of the day. Participants may choose to explore one or all of the activities or are free to just observe other participants from a safe space. After the hands-on activities, we gather for the Eucharist of bread (non-gluten rice crackers can also be provided) and wine (juice). The priest concludes the service with a prayer and blessing. Services last less than one hour and a transition board reminds participants what is coming next. Pictures of the activities and service can be viewed on our Facebook page. Started in the Diocese of Connecticut in 2003, Rhythms of Grace services are now held in Massachusetts, New York, Virginia, Georgia, Texas and many locations across the United States. St. Christopher’s Episcopal Church is the first location of Rhythms of Grace services in New Hampshire. Our program is supported by trained clergy and volunteers whose backgrounds include Occupational Therapy, American Sign Language and Special Education. Services are held at 2:00 p.m. on the second Saturday of the month. The church is handicapped accessible.For additional information call the church at 603-329-4674, email nhrhytmsofgrace@gmail.com or visit our Facebook page. St. Francis taught us by his holy life and Christian example to love the Creation and all animals- from wolves to songbirds to rabbits. This of course includes the pets and farm animals with whom we share our lives. We will be celebrating St. Francis' feast day with a special blessing of the animals soon after our 10:15 service. Please join us for the belssing of the animals on this day. Cats, dogs, rabbits, goldfish, goats and hamsters are all welcome. If weather permits, the blessings will be outdoors. Ash Wednesday 7 pm Eucharist service including disposition of ashes. Holy Week services begin on Palm Sunday and include a services each day of the week. Maundy Thursday service begins with with a meal of soup, bread and beverages at 6:30 pm. Immediately following at 7:30 pm is our liturgy for Maundy Thursday. Good Friday includes Stations of the Cross. A late evening Easter Vigil on Saturday precedes two Easter Sunday morning services. See the home page for exact times of each service, or check the Signpost. All are welcome! We love visitors! Here is what you can expect when attending a service at St. Christopher's. When you walk through the door for either of our Sunday services you will be warmly greeted by one of our members. They will give you a bulletin, which will make it easy to follow along in the service. We use the Book of Common Prayer, the page numbers will be indicated in the bulletin. During the Offering of Peace, you will likely be offered a handshake and a verbal “Peace be with you” by those seated near you. During the 10:15 service, this is the time that the children will return from Sunday School and join their parents for Communion and the remainder of the service. Baptized Christians from all denominations are welcome to receive Holy Communion. If you wish to receive a blessing only, please come forward and cross your arms across your chest. Communion is received at the Communion rail, kneeling or standing, as is your preference and comfort. For the little ones, there is a small carpeted area for children to draw, look through books and play with quiet toys during the service. There are also rocking chairs in this area so you can comfortably hold your child on your lap if you choose. We understand that children move, make sounds, and find it difficult to sit like adults, yet we very much want them with us and welcome them with open arms! We realize that parents with babies or small children sometimes need to walk around in the back of the church or get up and retrieve a wayward toddler. For information on our Sunday School program, click here.